For the past five years the directors of memorabiliaonline have worked tirelessly at building the range and quality of sports memorabilia products that you will find on this site. Through his role as Master of Ceremonies, Comedian and Auctioneer, Oscar Swarv has forged a vast web of strong personal relationships with many sporting celebrities, both Australian and International. As part of the Elliott Entertainment group of businesses, memorabiliaonline guarantee both the authenticity and the quality of their sports memorabilia products. All items offered for sale are framed and only bear genuine, original signatures. The main thing about dealing with memorabiliaonline is that you are assured of quality, honesty and top quality service. Another major facet of memorabiliaonline, is that due to our vast network of contacts we are able to offer clients a Personalised or Customised Item service. Although we make no promises, we have been able in the past to fill some quite interesting requests, such as a special Nathan Buckley piece personally autographed to a fan for his birthday and a Sydney Swans no. 14 Jumper signed on the back by Bobby Skilton and Paul Kelly. If there is something special you would like, feel free to contact us, it doesn't cost anything to ask. 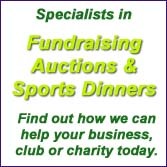 At memorabiliaonline, our aim to satisfy the needs of the discerning Sports Memorabilia collector. We are continually upgrading our product types and ranges and will always ensure that the items offered for sale are both genuine and supported by a-tag microchip authenticty, AFL Certificates of Authenticity or Manufacturer's Certificates. It is important to any investor that their hard earned dollars are totally protected. Memorabiliaonline is both an Authorsied AFL Sporting Memorabilia Trader as well as being Authorised Sir Donald Bradman Sporting Memorabilia Traders. With over 150 items in our range, we hope that we can supply you what you need, and if we haven't got it, contact us to enquire as to whether we can organise that special piece or a personally customised item.